Natural birth or childbirth without interventions is often at the forefront of the minds of many pregnant women. It may be the loudening voices of natural childbirth educators. It may be the declining trust in the medical establishment as a whole. It may be a renewed trust in natural physiological processes and less dependence on unnecessary medical interventions. Whatever your reason for pursuing a natural birth, there are some things you can do to help you prepare. 1. Be selective when choosing your prenatal healthcare provider(s). Having a trusted prenatal healthcare team that has a birth philosophy similar to your own is essential for pursuing a natural birth. Not only will they monitor your pregnancy, often they are a source of reliable pregnancy information and can help you determine your risk-factors as you progress. Doing a bit of research on medical providers and getting information and recommendations from people you trust can help guide your decision. Tip: The earlier in your pregnancy you find your provider the better, this gives you time to make a switch in prenatal care providers, if necessary. Some providers will not accept patients after a certain point in pregnancy. Unfortunately, all hospitals don’t offer the same level of care and where you decide to give birth can influence the outcome of your birth. One thing to look for is your hospital’s cesarean or C-section birth rate. While it is medically necessary for some women to have C-sections, this source reports that the procedure is being performed excessively. For more data on C-section rates by state, see this resource. For more data on C-Section rates by hospital, see this resource. Educate yourself on the process of pregnancy and birth. Did you know that most women don’t give birth on their due date because it’s just an estimate? Did you know that you can agree to or decline common pregnancy tests? Do you know about the different stages of labor? Do you know about dilation and effacement? Do you know valid reasons that make natural birth risky? For most of us, who don’t work directly in healthcare or study maternal and child health, we don’t learn about pregnancy, until we get pregnant. You have the right to know what is happening in your body and having the proper education can help you make informed decisions that support the best outcome for you and your child. Thankfully, there are tons of free resources that are reliable and thorough. Many even take you through pregnancy week-by-week. A visual birth plan like the one shared by Mama Natural offers a simple to use format to help you communicate your wishes to your healthcare providers. Plan your pregnancy and prepare for your birth with the understanding that flexibility may be required for the best possible outcome. A solid support team can help you have a positive birthing experience. Having someone in the room to hold your hand, guide your transition through the different stages of labor, and remind you of the desires outlined on your birth plan in the midst of contractions is invaluable. Your support person can be your family, friends, a doula, or any combination of people who have you and your child’s best interest in mind. If you are unfamiliar with the role of doulas, or women (typically) who are trained to offer non-medical support through birth and the postpartum period, this is an excellent resource to learn more. 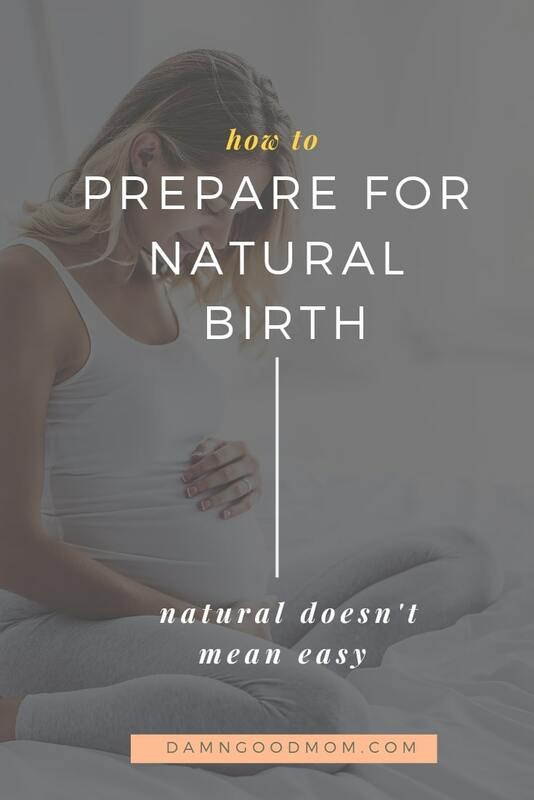 Natural birth will likely be painful but that doesn’t mean it can’t be a positive experience, I write more about that here. Instead of focusing on the pain, learn techniques that can help you cope. A pregnancy class or an in-person Lamaze class can be effective resources to help you learn different ways to manage your breathing, engage different positions to support the process, and ways to relax in-between contractions. Stress is not just a mental affliction. Stress can have a negative effect on your entire body. Find ways to relax and avoid stress throughout your pregnancy and during your labor. Your body language changes when you are tensed and tight, so go for loose and relaxed whenever possible, especially during birth. When a contraction hits, it is easy to feel the pain and immediately rush to the hospital. If you have a health concern, this is understandable. However, if everything is normal, consider laboring at home as long as possible. If you get to the hospital too soon (as determined by your medical providers), you may be asked to return home and car rides during contractions are absolutely no fun. Tip: Take into consideration distance from your birthing center and any specific personal care needs you may have. Plan to focus on the present while you are in labor. Don’t think about previous contractions or the next contraction. Focus on the current contraction. When a contraction is finished, mentally reward yourself for making it through another contraction. Don’t try to anticipate the next contraction, think about it only when it arrives. Try to remember that your contractions will not last forever and the pain will not last forever, even if it feels like it in the moment. You will eventually get relief and when you do, you’ll experience the greatest joy of birthing your child. 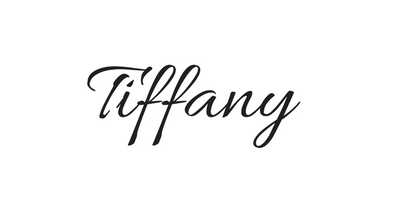 Beyonce has Sasha Fierce, you can create an alter ego too – if needed. You may be scared and anxious but your alter ego she is fierce and beautiful, confident yet humble, AND she is available for the experience right when you feel you aren’t. She is you in another frame of mind. Without commitment, it’s difficult to follow-through when labor gets challenging (and it will). Be determined in your pursuit of natural birth but not to the extent that you wouldn’t listen to reason and wisdom, if your plans have to change for the safety of you or your child. Birth is a natural process and for many low-risk pregnant women, natural childbirth can be accomplished safely for both mom and baby. However, it is important to be mindful that many of the modern interventions used today were established to lower the incidence of maternal and child related fatalities. There are benefits to having a natural birth but if you end up needing an intervention, that doesn’t mean you’ve failed in any way! We make plans but our children determine what ultimately happens. Finally, fear and anxious thoughts about birth are not uncommon; the information and preparation you give yourself prior to going into labor can help calm any fears you have are replace them with confidence. I hope these tips help you have a healthy and fulfilling birth experience. For more pregnancy content, be sure to follow along on Pinterest.